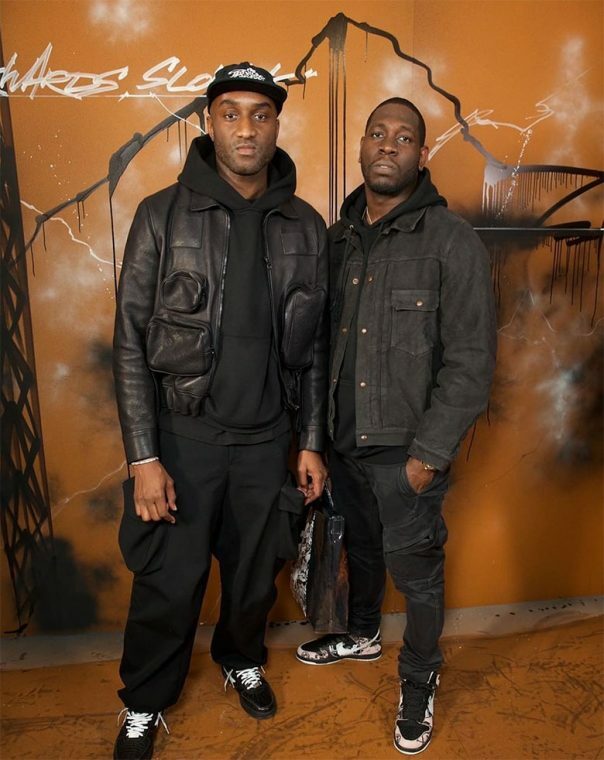 Virgil Abloh was pictured celebrating the closing moments of his Michael Jackson influenced Fall/Winter 2019 presentation at Paris Fashion Week in a sleek pair of croc-skin sneakers. 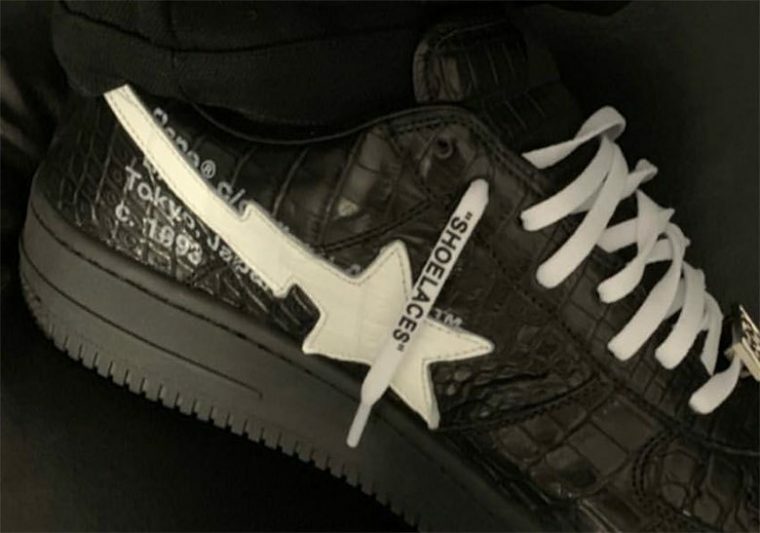 On closer inspection, eagle eyed fans noticed that the flourishing designer had chosen this pivotal moment with Louis Vuitton to simultaneously debut Off-White’s highly anticipated collaboration with Japanese label BAPE. 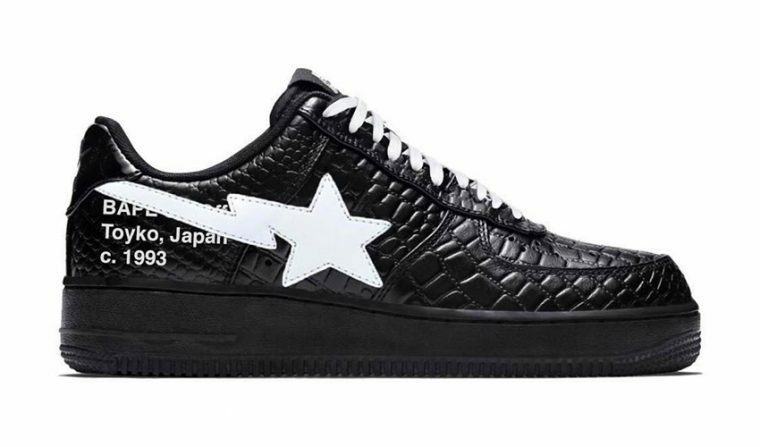 The reinvented Bapesta is decorated in black reptilian leather, while BAPE STA and Off-White text branding provides contrast in bright white. BAPE’s low-top silhouette is also complete with a matching chunky midsole and “SHOELACES” typography to create a distinctly Off-White aesthetic. LV’s Artistic Director rocked the shoe with an all-black utility inspired ensemble from his recently showcased collection. Release details are scarce for this pair, but be sure to stay tuned for more news and check out the Off-White x Nike Air Max 90 while you wait.